April is nearly over. Wow. It has been a very weird month, weather-wise. First couple of weeks temperatures were about 10 degrees below normal and we had a whole lot more rain than usual for this time of year. Then it dried out and for most of this week temperatures were at least 10 degrees above normal. The rain is supposed to come back this weekend. Man fought gunman: He ‘was going to have to work to kill me’. 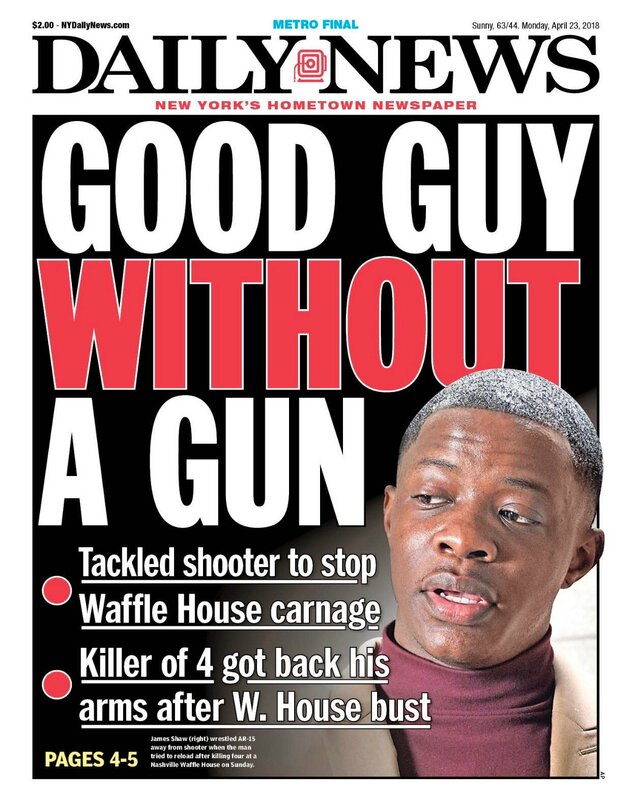 Waffle House Hero. Wisconsin AG Brad Schimel admits Voter ID a scheme to suppress democratic voters. The Truth About the 7,000: Why are there still so many AIDS-related deaths? Back to the wild! How letting Mother Nature reclaim prime farmland and allowing cattle and ponies to run free produced breathtaking results. Scientists accidentally found this octopus nursery deep in the Pacific Ocean. It Be Your Own People: On Universal FanCon and the Perversion of Community. Scientists Genetically Engineered Flies to Ejaculate Under Red Light. Weekend Update 4/22/2018: Attacking child survivors of school shootings. Water for the temple plants. Oppressed Oppressors: Hateful, Angry Men.